Signs that it faces a tough contest in Uttar Pradesh, the Bharatiya Janata Party (BJP) on Tuesday either replaced some of its sitting candidates in the state or changed their seats. The party released a list of 30 of its UP candidates, 10 in West Bengal and two in Karnataka. The party continued with its decision of not fielding candidates who are above 75 years. It has dropped Murli Manohar Joshi, its sitting MP from Kanpur, and has fielded Satyadev Pachuri. Joshi has made displeasure public. 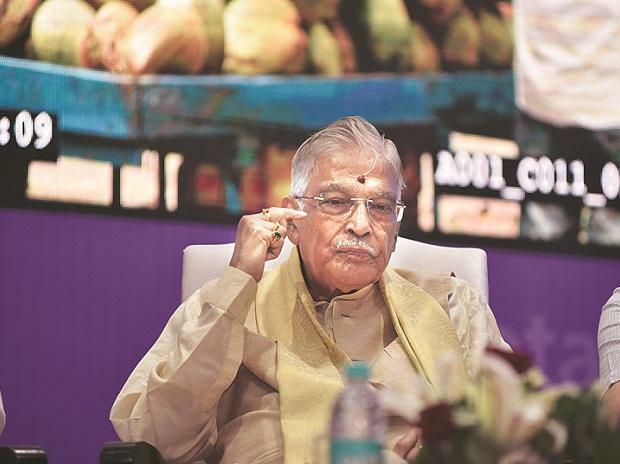 “Dear voters of Kanpur, Shri Ramlal, general secretary (organisation) of the BJP conveyed to me today that I should contest the ensuing parliamentary election from Kanpur and elsewhere,” Joshi said in a statement. Already, the BJP has dropped several of its senior leaders, who are sitting MPs, including L K Advani, Shanta Kumar, B C Khanduri, Kalraj Mishra and Karia Munda. In UP, the BJP announced party leader Varun Gandhi will contest from Pilibhit and his mother, Maneka Gandhi, from Sultanpur. In 2014, Varun had won from Sultanpur and his mother from Pilibhit, but the contest this time is likely to be tough in the latter seat. From the Rampur seat, the party dropped its sitting MP Nepal Singh. The BJP announced actor Jaya Prada, who joined the party on Tuesday, would contest the seat. She was a Samajwadi Party MP from the seat in 2009. In Karnataka, the BJP fielded the party’s youth leader, 28-year-old Tejaswi Surya, from its bastion of Bangalore South. There was expectation the party might field Tejaswini Kumar, the wife of the late Union minister Ananth Kumar, a six-time MP from the seat. She had already started a door-to-door campaign. She said the party decision came as a shock to her and all of her supporters. In Rajasthan, three disgruntled BJP leaders, including Ghanshyam Tiwari, joined the Congress. Apart from these leaders, 12 independent legislators announced their support to the Congress. Some of them were denied tickets by the Congress in the Rajasthan Assembly polls.